Thank you for visiting our book’s website! Explore the site to look at some sample pages, see our upcoming appearances, read reviews and praise, order a hardcover or ebook copy, or learn more about Andy and April! Also, please visit the great organizations we love and consider supporting their work. One beautiful autumn day, Art sets out with his mother and grandfather for a fishing trip. Fishing days are Art’s favorite. He loves learning the ropes from Grandpa—the different kinds of flies and tackle and the trout that frequent their favorite river. Art especially appreciates Grandpa’s stories. However, this time, hearing the story about Mom’s big catch on her first cast ever makes Art feel insecure about his own fishing skills. 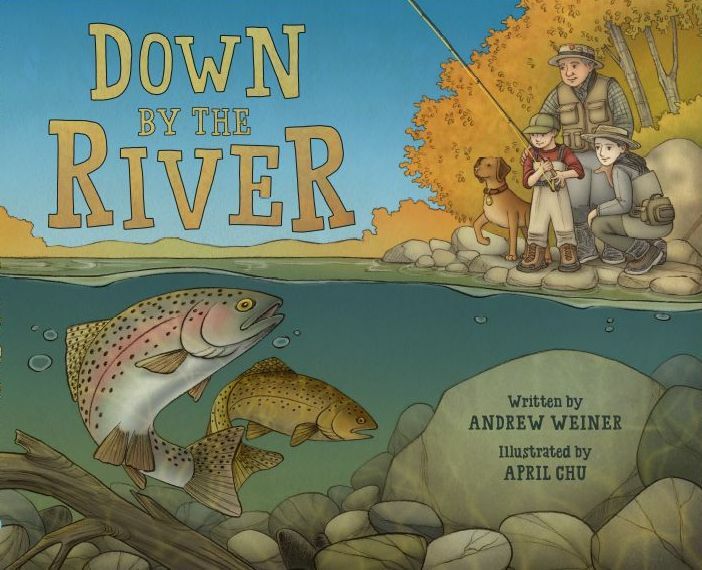 But, as Art hooks a beautiful brown trout, he finds reassurance in Grandpa’s stories and marvels in the sport and a day spent with family, promising to continue the tradition with his own grandkids generations later. Theme Designed by InkHive.com. © 2019 Down By the River. All Rights Reserved.